President Muhammadu Buhari has arrived New York ahead of the 73rd Session of the United Nations General Assembly (UNGA73) which officially opened on Sept. 18. 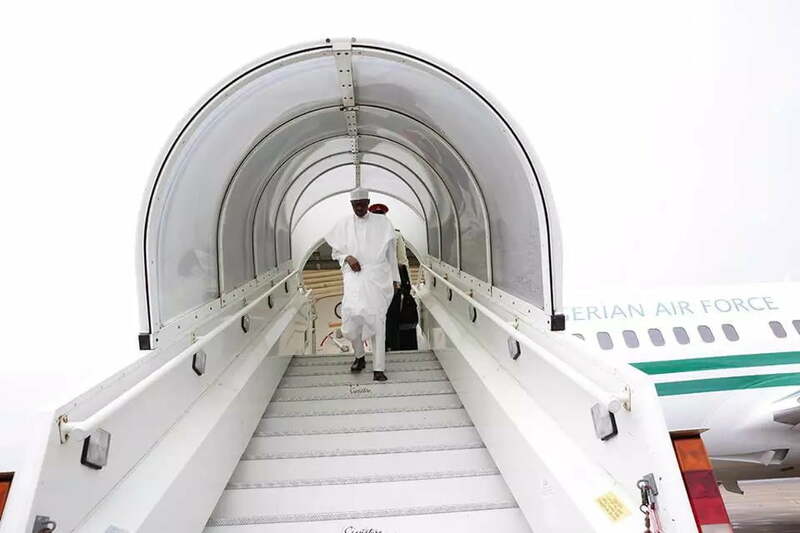 Buhari accompanied by his wife, Aisha, departed the presidential wing of the Nnamdi Azikiwe International Airport Abuja on Sunday morning. A statement by the President’s Special Adviser on Media and Publicity, Femi Adesina, said the high point of Buhari’s participation would be his address on Tuesday to the General Assembly on the opening day of the General Debate. Adesina said the President’s presentation is expected to reaffirm the nation’s commitment to international peace and security and sustainable socio-economic development. Adesina stated that Buhari would particularly canvass international support for the fight against corruption, the return of illicit assets, counter-terrorism, insurgency and curbing of irregular migration. He said the president would also seek the support of the international community in efforts to re-settle Internally Displaced Persons (IDPs) and recharging the receding Lake Chad. Adesina, added that the president would also advocate for the reform of the United Nations, especially the expansion of the permanent membership of the Security Council to make the vital organ of the global organisation reflect regional and equitable geographical representation.